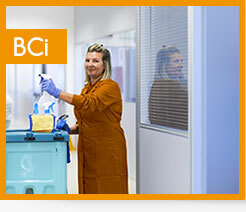 BCI quickly won a competitive position in the market of industrial cleaning services. Providing a wide and multifunctional range of cleaning services, BCI is your best partner if you want to keep your workspace clean and attractive in safety. The specificity of BCI results from a successful combination of innovation and experience. 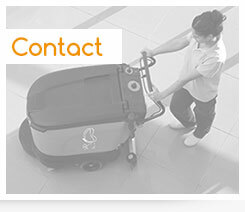 Indeed, even if BCI is a very young company, it is far from inexperienced in the field of cleaning services. BCI want infusing this solid experience with a dynamic and innovative spirit. A long term cooperation is based upon a genuine partnership. BCI stays close and attentive to its clients, in order to respond to their needs the best way possible. Thanks to its professionalism BCI has become the privileged partner of different famous companies. BCI makes every effort for an optimal efficiency. 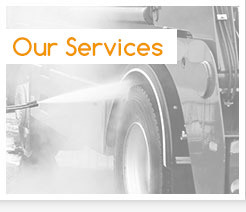 Our qualified and experienced staff and efficient working tools and methods are the keys to the quality of our services. Being available, flexible and attentive, we are a partner you can rely on, and our rates are among the most attractive. 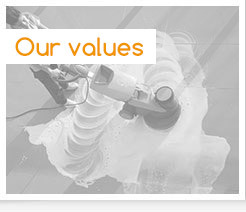 BCI values a lot the well-being of its personnel. An adjusted training and support are given to all staff members, each of them being appreciated for his true worth and receiving a correct salary and allowances. Our team is working in a friendly and close communicative atmosphere. Our management is based upon fundamental values such as respect for each other, attentiveness, mutual aid and integrity. This positive work climate is very stimulating for our staff, they feel motivated and involved, do their job with satisfaction and confidence, give the best of themselves and work very efficiently. Each client is unique and has his own needs and priorities. That’s the reason why BCI permanently adjusts its services according to the specific needs of each client and works out efficient and tailored solutions. A good communication is the basis for a healthy and stable cooperation. Each client can obtain all information about the program and the price determination, follow the daily events and read the regular reports and notices. This openness enables us to receive any possible remark in a short delay and to react properly. Finally BCI submits itself to any control to guarantee the transparency and quality of its services. BCI permanently invests in the most recent cleaning technologies. That’s why BCI carefully selects its working methods and suppliers of products and machines, and regularly adjusts these, in order to improve the efficiency and the quality of its services, with permanent concern for the environment. Moreover BCI isn’t afraid to be creative and take initiatives, trying to anticipate the clients’ needs meeting its own needs. BCI aims to be a modern and realistic company, as this constitutes the guarantee for being a healthy company. BCI always offers the best price/quality relationship, simply because its services fit into a vision, and nothing is just a coincidence. Our services are the remarkable result of strategy, experience, preparation and optimality.